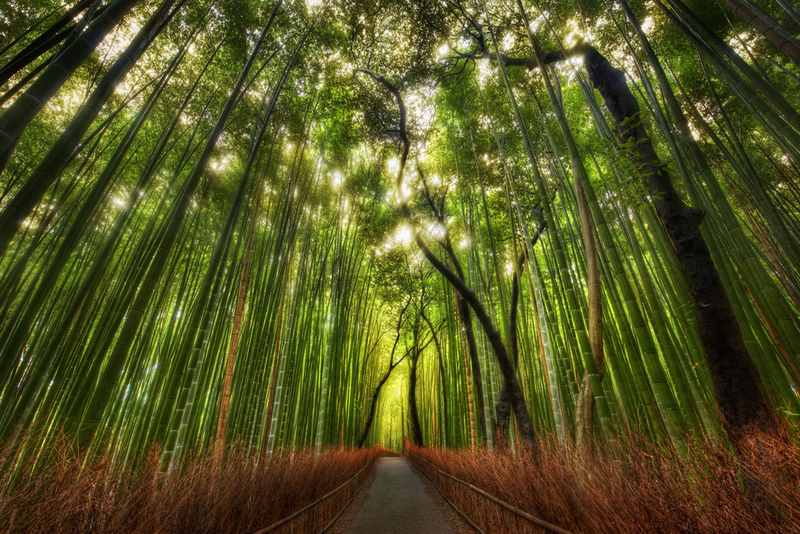 Did you know that bamboo can help decrease our carbon footprint and fight global warming? That’s right, the newest addition to the superhero clan… Super Bam. Bamboo powers unite, POW! According to The United Nations Industrial Development Organization (UNIDO), “bamboo is a crucial element in the balance of oxygen and carbon dioxide in the atmosphere. A grove of bamboo releases 35% more oxygen than an equivalent stand of trees and absorbs four times as much carbon.” Providing more oxygen for you and me, could there be a better super power? I think not. Bamboo is one of the most sustainable and versatile building materials available today. It’s strong, flexible and completely organic. What other plant can you build a house with, make clothing and textiles with AND eat?! Can’t think of any? We couldn’t either. Being biodegradable, bamboo can easily decompose by sunlight and microorganisms… no landfills required! <– We love that! By being 100% natural, no chemicals are released into the soil while decomposing. Which means a healthier environment for you and me. Happy trees + happy people = shiny happy people holding hands = ☮ on earth. Bamboo is an amazing, magnificent resource and luckily we have access to it right at our fingertips. Rapidly renewable, bamboo can restore itself in just 4-5 years and has NO impact on the environment when being harvested and replenished. 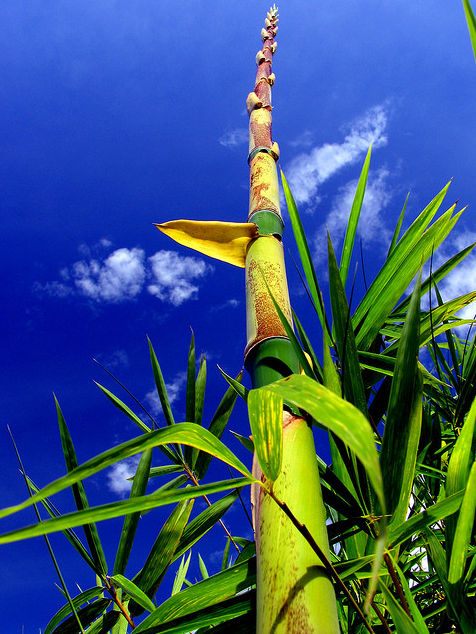 As the fastest growing plant, “bamboo could provide the answer to deforestation. A bamboo sapling grows to its full potential in four years compared to an Oak that takes 50 years and others that take up to 70 years to reach maturity. Yet, bamboo is said to be as long-lasting and sturdy as Oak” (UNIDO). Requiring less energy to harvest and produce than most lumbers, bamboo’s powers strike again. It can be a substitute for wood, cotton and harmful materials. It can save our forests and it doesn’t need specially treated land to grow – a flexible, non-picky saint. Saving the environment and saving us money, there just isn’t a more perfect match for us eco lovers. Now you’re wondering, how can I give back and do my part? Luckily for you we have a pretty easy answer that can affect both you and our environment. Answer: invest in bamboo products and textiles. Most linen on the market today is manufactured from non-biodegradable materials and is composed of plastics and chemicals. If you read last week’s blog, Plastic’s Final Voyage, you know how we feel about plastic and how horrible it is for the environment. We all are picky about the sheets we sleep on, the towels and robes we wrap ourselves in each morning, the thread count and quality of our linens. But did you know that when the life of your linens is over and you retire them for that next beautiful 600 thread-count sheet set, your old linens end up in a landfill, releasing toxins into soils and oceans? We didn’t either, that’s why we’re suggesting substituting your old sheets for new, 100% natural bamboo sheets. 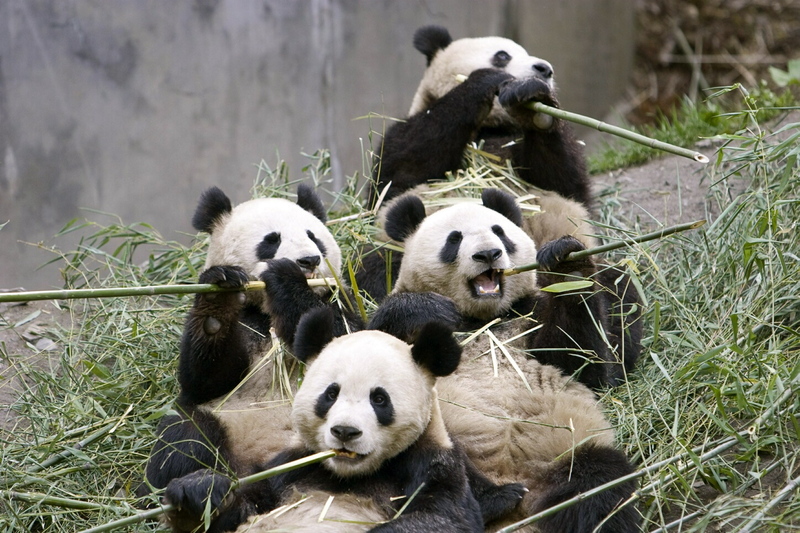 Hey, if Pandas can eat bamboo as their daily diet that has to mean that bamboo is pretty darn good for you… just saying. Organic and unrefined, Pure Fiber bedding, towels and bathrobes are exquisitely woven to accentuate the plush softness of bamboo while adding a touch of natural elegance. Bamboo awards you with the same softness and silkiness of cashmere, so soft and comfortable you won’t want to leave your bedroom. So next time you go to sleep at night enjoy the sensual softness of bamboo and let nature come home to you. Since creating their first 100% bamboo terry towel and bathrobe, Pure Fiber is one of the premier manufacturers and suppliers of eco luxurious bed and bath amenities for people who care about comfort and environment. Be Green. Save Green. At eco ellies. We Recycle. You Should Too!